If you’re interested in promoting a business, organization or website on the web but new to the world of online advertising, it could be a daunting task getting started with it. There are all these questions like what do these terms like CPC, CTR mean? Where should I advertise? What will it cost me? Will the returns be worth it? We thought it may be useful to do a quick comparison of advertising on Google Vs Facebook Vs LinkedIn which could help get a better idea of just how they stack up when it comes to running online advertising campaigns. For the purpose of this comparison we’ll be talking exclusively about cost-per-click (CPC) advertising where as an advertiser you pay only when someone clicks on your advertisement and lands on your website, fan page or landing page where you want them. The other common format is where you pay for every time the advertisement is displayed whether or not it’s clicked but that we leave for another day. CPC (cost per click) advertising campaigns are suited when the end objective is an action. That action may be to generate a sales lead, sell a product, add a fan to your fan page, learn about an offer or evoke some end result. 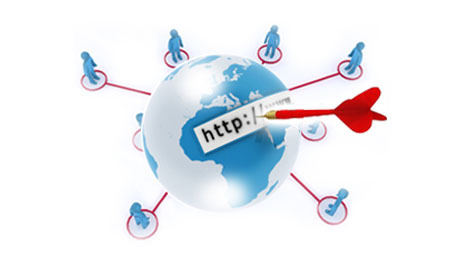 You want the target web user to click on your advertisement and that will take them to your website or page. As an advertiser you are willing to pay something for every click you get. Google Adwords is a search driven marketing platform. It lets you target who you want to display your advertisement to based on the keywords that your target audiences are entering into Google Search while looking for something. Facebook Ads are not search- based. However, Facebook allows you to get very specific with the target audience for your advertisement based on location, demographics, interests and psychographics. E.g. We can have the advertisement displayed only to people within Bangalore who are between 30-65 years of age and are interested in design, architecture, interiors and gardening. It’s important to note the narrower you focus your targeting, the smaller the audience reach you will have. This means every click is likely to be more highly qualified but also means likely to be more expensive per click than a wider criteria. LinkedIn Ads is also extremely targeted when it comes to selecting who you want to reach within the professional space and allows you to select your target audience based on location, industry verticals, company size, revenue, job functions, department, role, decision making levels and more. E.g. We can direct our advertisement towards those within the Automotive Manufacturing Industry in India, Sri Lanka, Malaysia & Thailand with annual revenues of over $60 million. Within this we can target professionals within these companies that are in product design at the C-Level, VP Level and Director Level only. Again, the tighter the search criteria, the more expensive the cost per click is likely to be although the clicks will be more qualified too. Is it for me? Will it be effective? The effectiveness of each of these platforms really depends on the end objectives, the nature of the product or business you are advertising, the cost of acquiring a customer or lead through each of this and whether it justifies what was spent running these ad campaigns. For example, if a LinkedIn advertising campaign generated 10 leads costing Rs 1000 out of which 4 converted to sales and generated a profit of Rs 30,000, it’s well worth the spend. If the profit margins or profit per sale generated is say Rs 100, then it’s not really feasible. Google Adwords is well suited to generating instant leads, website visits, conversions or sales for almost any type of product, service or organization. It captures the attention of the web user when they are actually in the process of looking for something and if you have what they are looking for and can direct them to your site at that time, there’s a good chance it could convert or result in a lead quickly. Whether you’re a multi-million dollar global corporation selling business solutions or a local street-side flower vendor, Google Ads can be effective for your business if the numbers work out. Facebook Ads are good for creating awareness, building a word of mouth fan-base and reaching out to target audiences that could be engaged via a social media environment. They may not directly result in sales or conversions since they come from clicks by people who just happened to see your advertisement and not by people who were actively looking for you at the time. They can help increase brand page likes and this community can be nurtured till they are ready to buy or function as a means to help spread the word about your brand to others. Facebook Ads can be great for a entry level car company that people love talking about on social media but completely pointless for a bio technology company selling diagnostic devices costing a few million dollars a piece. LinkedIn Ads are perhaps the most effective when it comes to B2B (business to business) advertising that can help generate valuable higher margin business and conversions. It’s the perfect platform to sell staffing services to Human Resources heads of larger companies, engine components to aerospace companies or just about anything which targets business professionals who make decisions on behalf of their organizations. It’s completely ineffective or irrelevant to FMCG goods, consumer marketing or selling Coca Cola to end consumers for example. Every advertisement campaign has its own lifecycle. At some point it will peak, draw maximum attention, clicks and then go through a downward phase. Google Adwords has a comparatively longer lifecycle since they appear to people while searching for related keywords. Not everyone sees them at the same time unless they are looking for the same information. As a result a Google Adwords campaign can run effectively and perform without having to constantly update the copy or creative. Facebook Ads usually display good click through rates and performance soon after they go live since people are seeing the advertisement for the first time. However, they have a much shorter lifecycle and very soon you will notice the number of clicks / likes will flat line (remain constant) and then decline as people have seen the same advertisement a number of times and start to ignore them. As this happens, the cost per click also increases since the CTR is reduced. This means you need to update the advertisement copy frequently to maintain momentum and keep the clicks high and costs low. LinkedIn Ads can display a similar pattern to Facebook Ads especially if the advertisement is targeted to a smaller more focused group that have seen it a few times. The advertisement copies and messaging will need to be tweaked frequently to ensure the clicks are optimized and the costs stay down. Last but not least the main question – how much will it cost me per click on each of these platforms? The answer to that question unfortunately is – it depends! It varies on a wide variety of factors. However, in comparison, Google Adwords is the least expensive of the three when it comes to CPC and can be relatively cheaper if the keywords you target are not highly competed for by other advertisers in your space. Facebook Ads are more expensive and LinkedIn is significantly more expensive than even Facebook. To give you an idea of what it costs for campaigns on each in comparison, I’ll share some basic figures from small test campaigns that were run for short periods for my own business which can be categorized as a B2B service. This may not be indicative of what it will cost you and as we mentioned, the final CPC is dependent on many factors including how you target, how much competition there is within your segment, bidding prices, effectiveness of copy, CTR and more. However, it does show how much each of them can differ. We’ve typically seen Google CPC lower than Facebook but as we see in this case, it can vary. To sum up from the results above, logically we should assume that Facebook was the best for me followed by Google and finally LinkedIn did not impress right? Wrong! In fact, it was a complete reversal because the 27 clicks from LinkedIn resulted in 2 conversions into long term contracts for the business and some project work and the returns on the expensive 140 was not too expensive considering the revenue on the 2 sales. Google resulted in 1 as well as a couple of good leads that went on into negotiations and although they didn’t close, seemed well worth the spend since those leads remain in our sales pipeline for the future. Facebook didn’t yield any conversions or monetary returns but the objective wasn’t leads or sales. It was likes and fans that would contribute to our social reach which it did. So at the end of the day, the best way to go about it is create and launch small budget test campaigns, experiment, adjust and increase advertising spend on campaigns which you see are bringing home the results. Each one of these online advertising platforms has something unique to offer and can become instrumental in generating new business or visitors for you. With a little trial and putting yourself through an experimental learning curve, you will soon find out which one is the right solution for you!